One day this year, millions of people paused from their daily routine to experience wonder. On August 21, 2017 people from all over the country went outside, looked at the sky, and gasped. If you were one of the millions who donned special glasses and rejoiced at the movement of sun and moon, then you already know what wonder feels like. Wonder is a brief encounter with something awe-inspiring, shocking, or utterly unbelievable. Wonder is a fleeting encounter with something unexpected, yet unmistakable. A squirrel running across the road doesn’t inspire wonder. An albino squirrel sitting in your living room does. The tantalizing thing about wonder is that it catches you off guard. Every. Single. Time. The sight of a funnel-cloud flirting with the horizon. Gasp! The first sounds of your baby’s beating heart. Gasp! The brush of a bat’s wing on a summer evening. Gasp! The great thing about wonder is that it reminds us what it means to be alive, alert, and part of a larger world. Wonder shakes us out of our mundane routine. Wonder is our brain’s way of telling us to stop, even for a brief moment, and notice something new. If we’re lucky, that moment may inspire further investigation, learning, and understanding about ourselves and the world. 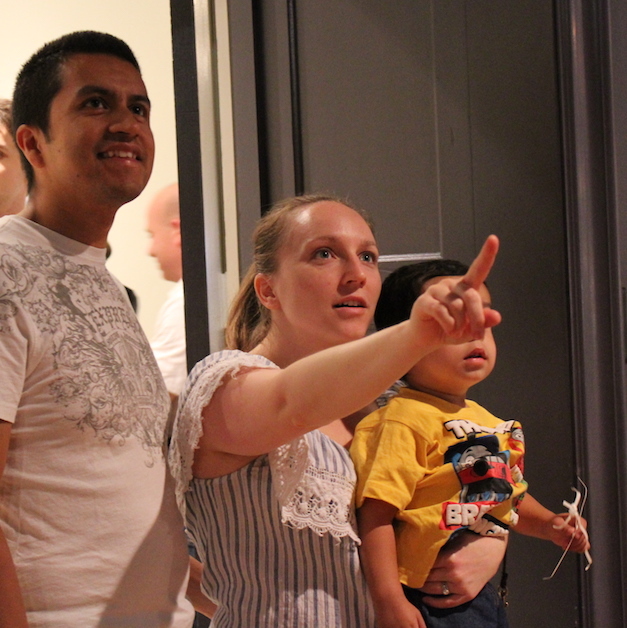 At CMA we champion the mysterious, multitudinous, mesmerizing power of wonder. Out of those moments, not matter how brief, great artists, and people like you and me, are motivated to question, investigate, and think anew. Gasp! The new Wonder Room will open in CMA’s JPMorgan Chase Center for Creativity the weekend of October 28 with a special member debut on October 27 from 3:00 PM – 5:00 PM.